You’re reading this page today because of bowling. In college, Meredith (AKA Mer) needed phys. ed. credit and had the option of either taking bowling twice or SCUBA once. Since burning a tank at the bottom of the diving well every Monday night for a semester sounded more fun than the inevitable chain of gutter-balls, SCUBA it was… and the hook was set. 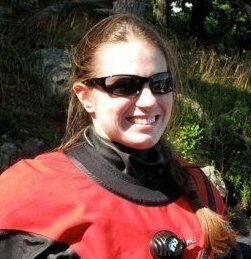 Mer found Global Underwater Explorers (GUE) early in her diving career, in the early 2000s; she had her eyes opened to the rewards of committing to excellence and had a blast being part of a growing community of GUE divers. Now this astrophysicist-turned residential real estate agent and business-to-business sales/negotiations coach has progressed to Cave 2, Tech 2+, CCR, and GUE Instructor for Fundamentals, Recreational, Technical, and Cave. She is the first female GUE Cave instructor to “come up the ranks” from learning to dive caves with GUE to teaching others to do the same. 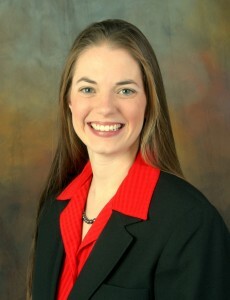 She is also the only woman in the world teaching both GUE Cave and GUE Tech. A Boston-native, Mer dives in both North Florida and on Hawaii’s Kona Coast (Big Island) enjoying both caves and reefs. She holds additional credentials in Cave DPV, Prism Topaz and JJ closed-circuit rebreather (CCR), NAUI Technical Divemaster & Cave Guide, NSS-CDS Cave Supervisor, Nautical Archaeological Society Level 1 and GUE Documentation Diver. Co-founder and member-emeritus of North East Underwater Explorers (NEUE) and a former member of GUE Ontario, she is an active member of Hawaii Underwater Explorers (HUE), Southeast Underwater Explorers (SEUE), and the historic Florida cave exploration group Woodville Karst Plain Project (WKPP). Mer has participated in several projects including the U853 survey off Long Island, NY, the Three Room Cave Survey in South Kona, Hawaii, and is Project Manager for Project Baseline Kona Hawaii and a contributor to other Project Baseline groups. 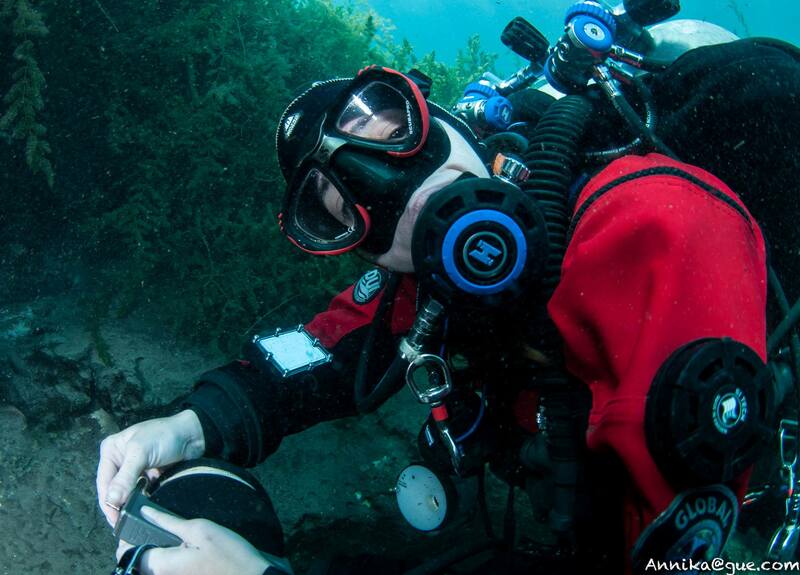 Mer is active with Karst Underwater Research, currently holders of the recent world record for penetration in an underwater cave at Cathedral Canyons, and is a volunteer Dive Supervisor and CCR diver for R/V Baseline Explorer for missions such as the Port Everglades pre-dredge Baseline, Nekton Bermuda Deep Reefs, and NOAA U576/Battle of the Atlantic off North Carolina. 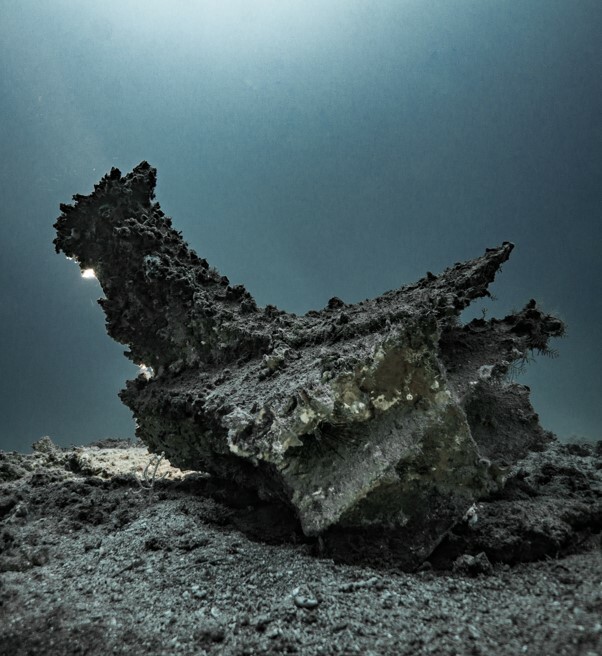 Mer has worked with the Italian government on recovering 2000+-year-old artifacts from the Punic Wars off the Egadi coast of Sicily. 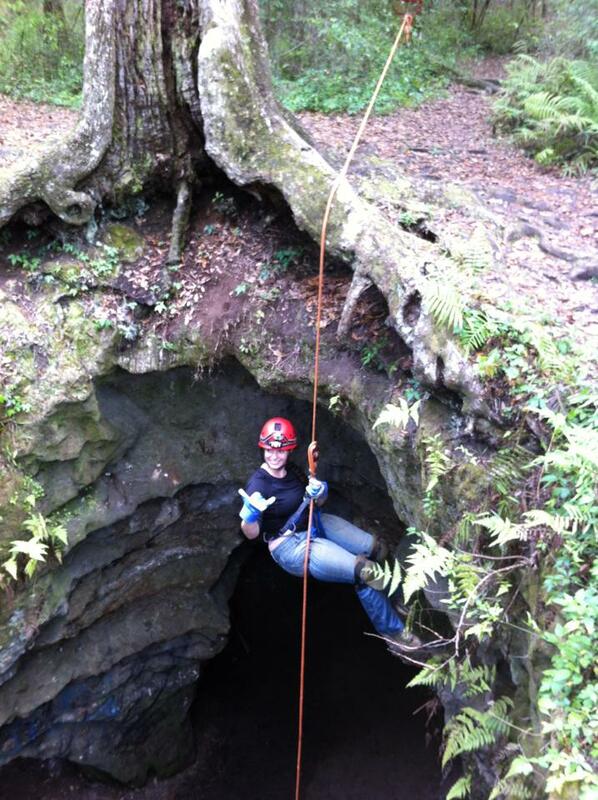 She is a guide for several FL “guided-only” caves, including Indian Springs. Mer is also an active “dry” caver, belonging to the National Speleological Society, Florida Speleological Society, and Hawaii Speleological Survey. She enjoys hiking, sailing, skiing, and horseback riding when diving conditions suggest topside activities. Mer enjoys relaxing reef dives seeking macro wonders, manta ray or humpback fly-bys, and traveling to experience new wrecks and reefs around the world. 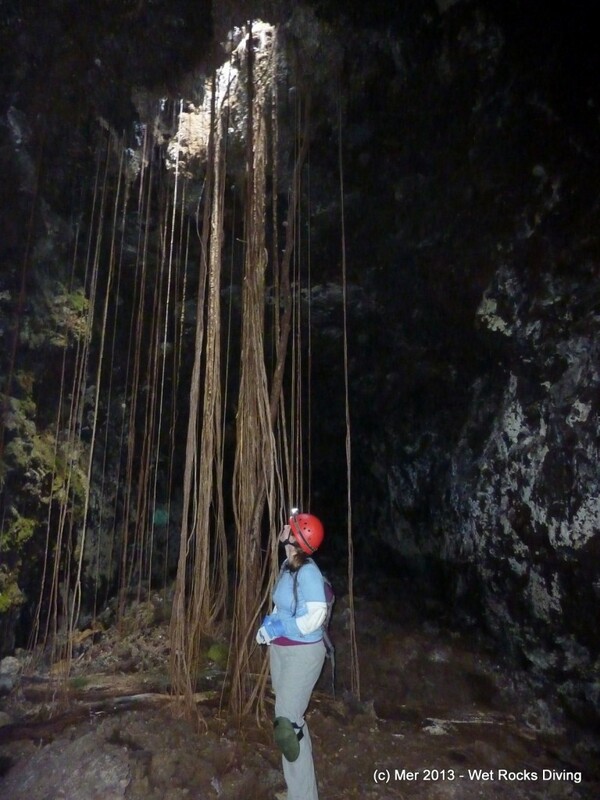 She has an extreme passion, bordering on obsession, for staring at wet rocks in Florida and Mexico, even though getting into cave diving was initially a twist of fate! 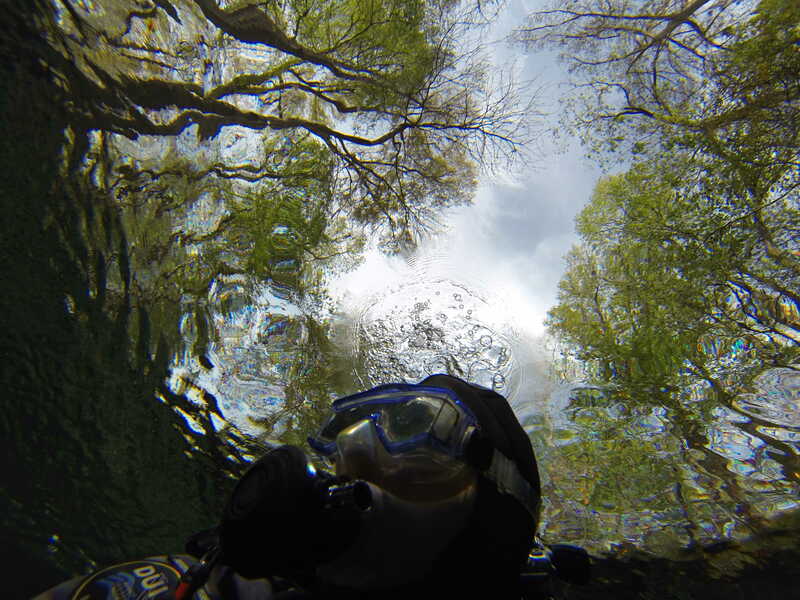 She enjoys the calmness, precision, and grace of traversing the underwater world as well as the exhilaration of experiencing new locations and unique critters. She shares her passions with new divers, challenges herself, introduces divers to Hawaii-style diving, and helps experienced divers get more out of their underwater time. Initially, Mer embarked upon the instructor path to help build a local community of GUE divers in Kona, Hawaii. When she started the Instructor Internship process, she had been diving for more than 5 years at the Tech 2/Cave 2 level; and wow, how things had changed with GUE courses! She found the structure and progression of the current Fundamentals curriculum and methodology to be impressive and extremely effective at improving diver skill and capacity, and therefore dive satisfaction. 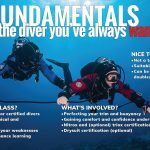 Thus, her initial simple reasons have blossomed into enthusiasm for assisting new and experienced divers alike to improve their enjoyment of the sport. She aims to help divers build their capacity through both formal GUE classes and informal mentorship and coaching. Mer has special interest and experience in working with women as well as aspiring and experienced cave divers. Women and shorter divers have some unique challenges in this sport; Mer’s been there and has tools and tricks to reduce frustrations. 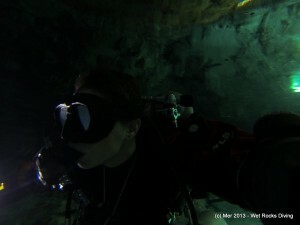 Cave diving requires special skills and finesse that are sourced in our fundamental skill-set. Mer specializes in working with all levels of cave divers to both prepare and hone their skills for future/renewed enjoyment of this unique environment; from back-kicking and other anti-silting propulsion to refined stability and fatigue-reducing body positioning. 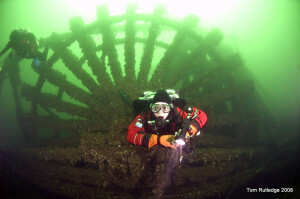 Divers may also benefit from the unique perspective and atmosphere of working with a female instructor. Throughout her diving career, Mer has been (and still is) on the same “kaizen” path of continuous improvement to which GUE students and GUE divers have committed. Like many of life’s journeys, we often get as much out of the process as we do from reaching the destination. The personal skill refinement experienced through the instructor training process has greatly improved her personal diving. She looks forward to sharing that kaizen spirit, and how to maintain it, with you to improve your enjoyment of diving, whatever your experience or diving goals may be. Hang loose and see you in the water pau hana!